This page will guide you through finding your Android device's IP address. The device IP address is a unique IP address that is assigned to devices connected on a network. If you're looking to find your Android device's version instead, kindly refer to the guide below. To find your Android's IP address, follow the steps below. 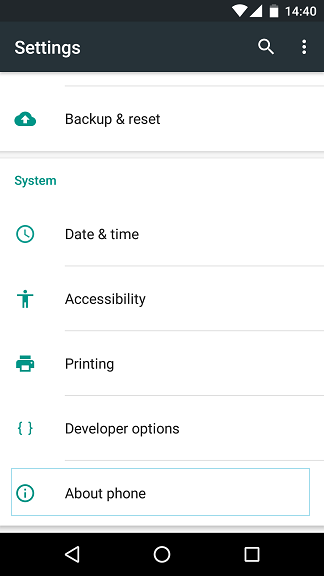 Open your Settings menu and tap on About phone/tablet. 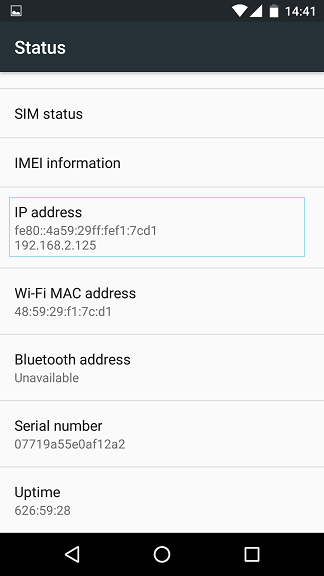 You should now see the general information of your device, including the IP address. Congratulations! You have found your Android device's IP address. 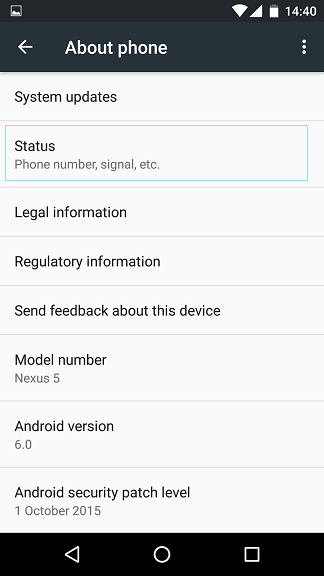 Note: In this example, the Android device IP address is 192.168.2.125. If you have any problems or need any help, please email us at support@my-private-network.co.uk. We'll get back to you as soon as possible and try to help.